If one doesn’t choose a point-n-shoot, the other option is a DSLR. Basically, this is a SLR that is digital. Manufacturers took all the basics of the SLR, and programmed the information into a digital format. It is a hand-held computer with manual over-rides, therefore, more creative control over you photographs. The photograph shown has a slow shutter speed, that would need to be set manually in both a point and shoot or DSLR camera. 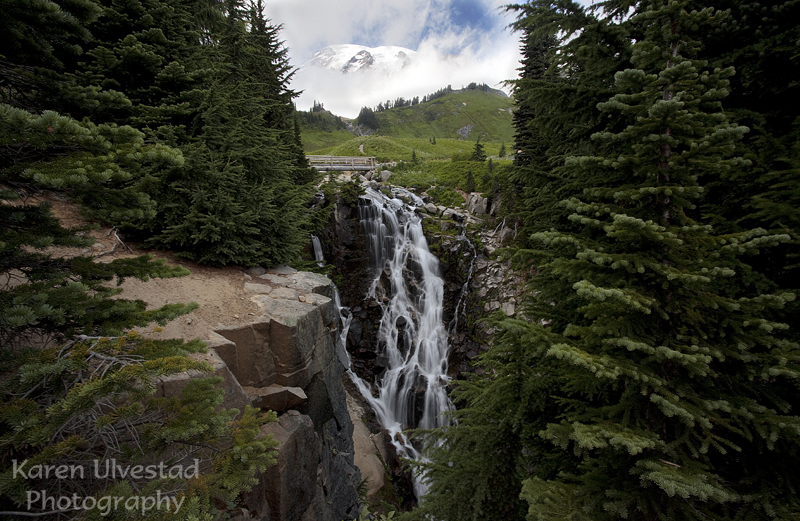 This was shot with a wide-angle lens (17-40 mm) at 17 mm. The F18 is the aperture setting, and allows for the large depth of field in the image. I used tripod to keep the camera steady. This type of shot is easier with a DSLR, because the manual settings are easier to use. The lens optics are better glass, though it depends on the lens purchased. This was shot at F4.5 at 1/60 second. 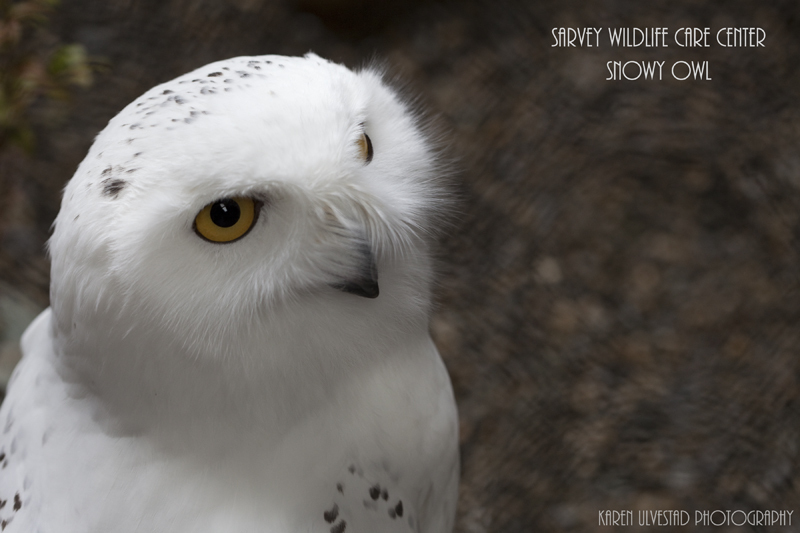 This image is of a captive Snowy Owl (unable to survive in the wild due to previous injury). In this image, the aperture is F4.5, which accounts for the background being out of focus.